Pattern Holder Magma Sm. - Woolly&Co. Home / Pattern Holder Magma Sm. One Magma pattern holder that measures 35.0 x 26.25cm (14 x 10.5'') when opened and 17.5 x 26.25 cms (7 x 10.5'') when closed. 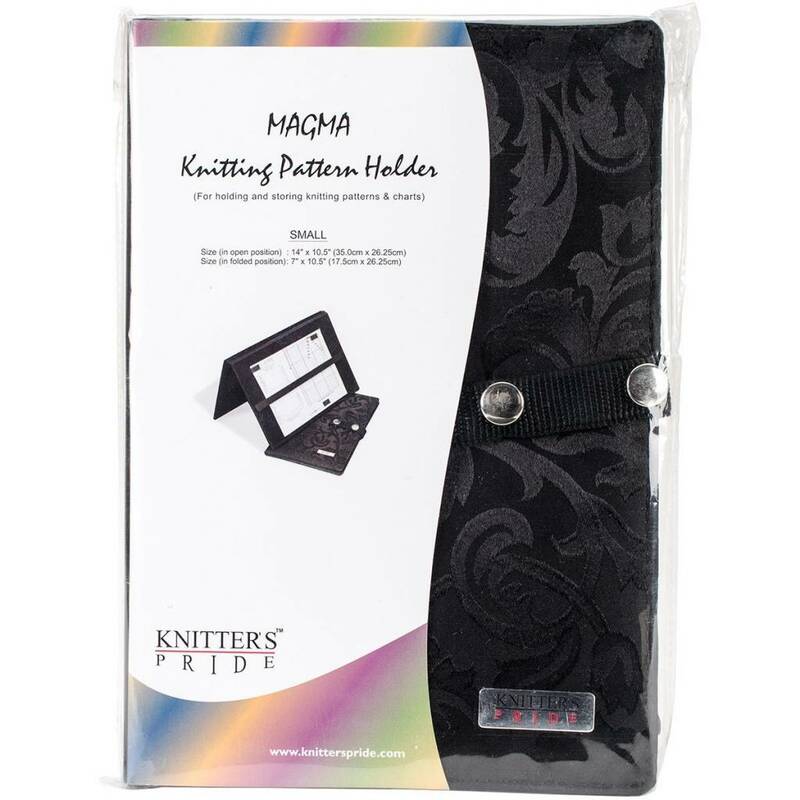 Includes 1 Magma pattern holder, 3 small magnets, 1 large magnet strip and 1 pen. This indispensable pattern holder is a handy way to keep and display patterns and charts while working on a project. 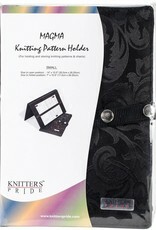 Useful for all knitters, but a “must-have” for lace knitters. Can stand upright when folded open, vertically or horizontally. Extremely strong magnets keep patterns and/or charts in place.